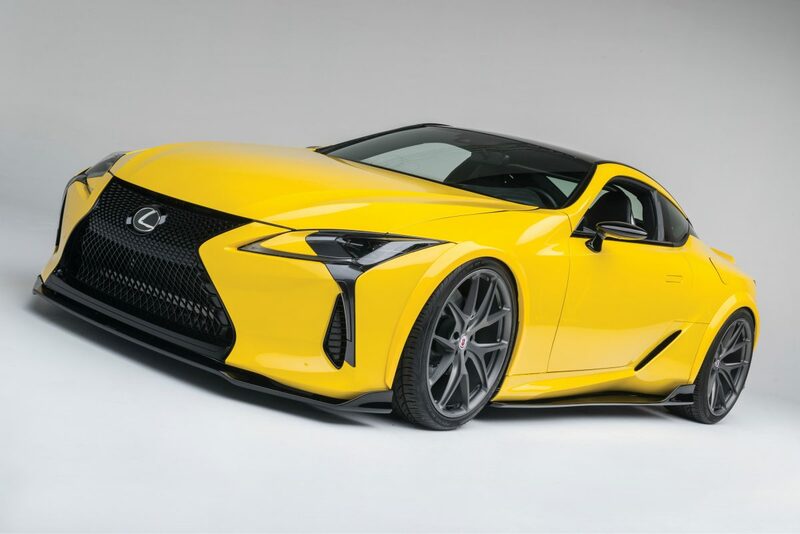 Lexus has taken the wraps off a customised LC 500 at SEMA today, showcasing the flagship coupe’s tuning and modification potential. 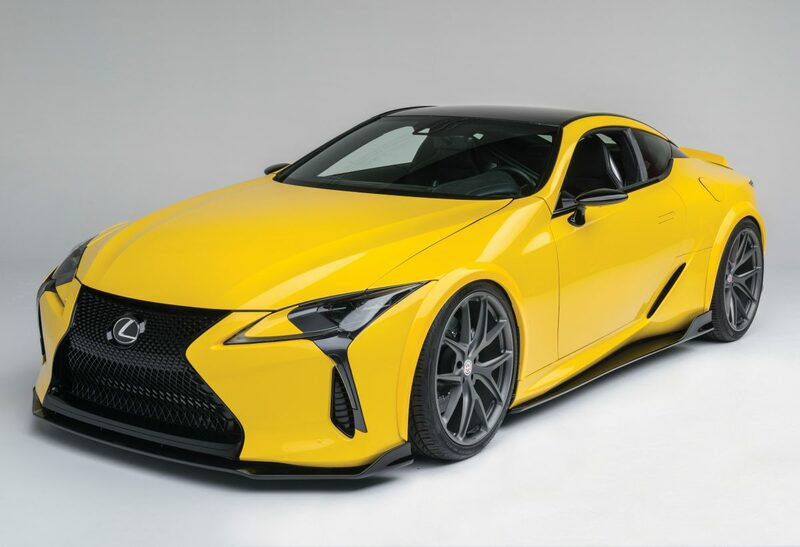 Built by Beyond Marketing, the LC 500 sports a striking gloss yellow exterior wrap and custom body kit by Artisan Spirit. 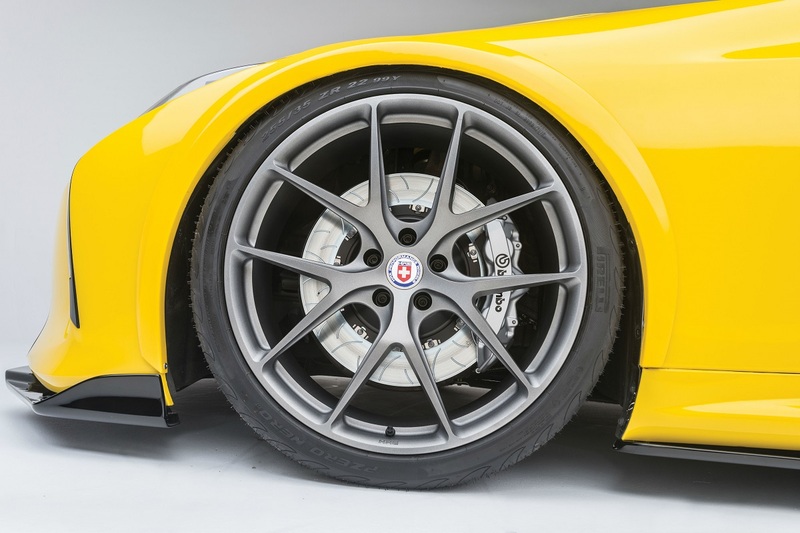 It sits lower to the ground thanks to a set of height-adjustable KW coilover suspension and rolls on a set of 22-inch HRE P101 wheels wrapped in Pirelli P Zero Nero tyres. The brakes have also been upgraded to Brembo items all round. 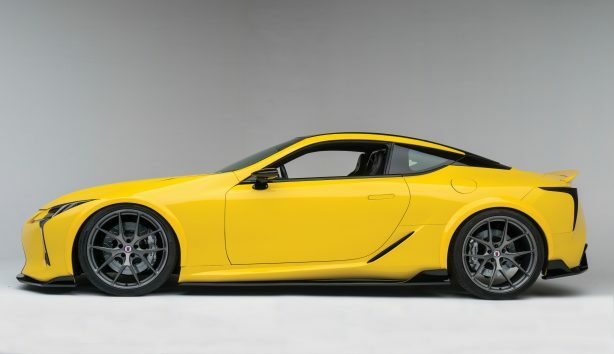 Far from just a cosmetic exercise, Lexus has also turned the heat up on the LC 500’s powertrain with help from tuner Club DSPORT. 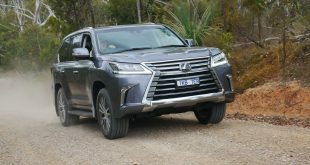 The factory 5.0-litre V8 has been stroked to 5.6-litre through an increased in cylinder bore to 99.5mm from 94mm. Custom Moly-2000 Amphibian Sleeves from LA Sleeve were used to increase the bore size while custom CP Pistons and Carrillo connecting rods were engineered to perform up to 9,000rpm. The result is an output boosted to 525 hp or 391 kW, an increase of over 29 hp or 40 kW. The Lexus LC 500 is set for a global launch in early 2017, joined by the hybrid LC 500h further down the track.